Include These Homemade Lotion Recipes In Your Skin Care Routine To Keep Your Skin Hydrated, Nourished And Happy! Homemade lotion recipes are actually quite simple to prepare and are so much better for our skin than synthetic lotions. The natural ingredients in these recipes keep your skin hydrated and truly nourish it so skin stays young and healthy for as long as possible. Enjoy one of these recipes or create your own homemade lotion recipes! Heat soap flakes and water together over double boiler until melted. Remove from heat and whisk glycerin into melted mixture. Whisk in remaining ingredients until everything is well incorporated and is a nice spreadable consistency. Cool lotion and store in a sterile glass jar with a lid. Over double boiler add beeswax and grapeseed oil until melted together. Slowly whisk in warmed water. When water is incorporated into melted mixture whisk in essential oils. Whisk until it cools and thickened. Store in a sterile glass jar with a lid. Over double boiler melt together shea butter and almond oil. Slowly whisk in chamomile and lavender oil. Whisk until mixture begins to thicken and cool. Puncture Vit E capsule and whisk into mixture. Store cooled lotion in a sterile glass jar with a lid. Over double boiler melt together beeswax, cocoa butter and avocado butter. Remove from heat and mix in hempseed and coconut oil. Whisk until mixture cools and thickens. Store in a sterile glass jar with a lid. Over double boiler melt together beeswax, lanolin oil, coconut oil and almond oil. Remove from heat and slowly whisk in aloe vera gel. Add essential oils whisking well. When mixture begins to cool puncture Vitamin E capsules and whisk in to lotion. Store in a sterile glass jar with a lid. Over double boiler melt together beeswax and almond oil. Remove from heat and slowly whisk in warmed rose water. Add essential oils and keep whisking until mixture begins to thicken and cool. Store in a sterile glass jar with a lid. Whip up one of these lotion recipes and you will be happy with the results! Discover the natural beauty of your skin today! 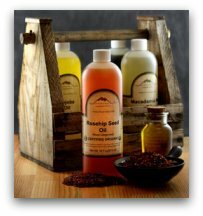 To purchase homemade lotion lotion supplies, below are quick links to the ingredients in the above recipes.